Oh, btw, I can never resist buying products endorsed by celebrities I adore. Luckily the list only consists of 4 charismatic ladies - 小s, Hebe, 楊謹華 and 孫芸芸, otherwise I will be damn broke by now. The name 'Heme' comes from the combination of the words, He & Me, which means the best skin solution for both young females and males. Their range of products includes skincare for breakouts, pores, hydration and whitening. Heme is currently known in the market as one of the few skincare brands specially formulated for young Asian skins, where it offers simple, easy, smart and affordable skincare products for the younger generation. As we all know, the skin around our eye area is very sensitive and delicate and require special care. There are fewer oil glands in the eye area, which adds to potential dryness. Most face creams are too heavy for the eye area. The eyes will soak up the moisture making the eyes puffy. Our eyes reveal a lot about ourselves: our attitude, our age, and even our soul. I recommend anyone above 20 to start investing in good eye creams and eye mask. Today, i'm introducing the HEME Instant Lift & Whitening Eye Mask, which is specially formulated for the delicate skin around our eyes. 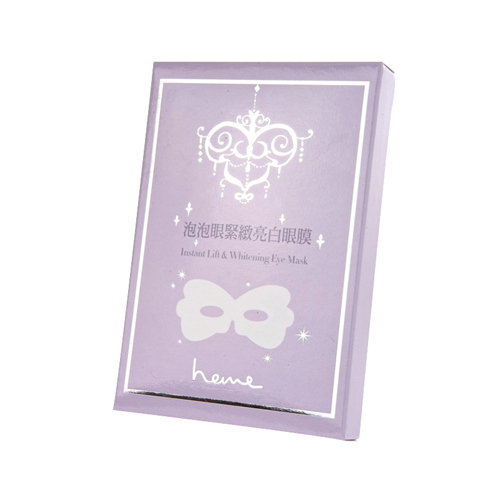 What is so unique of HEME Instant Lift & Whitening Eye Mask? While normal eye masks come in a pair which only covers the undereye areas, HEME Instant Lift & Whitening Eye Mask covers the entire eye area. 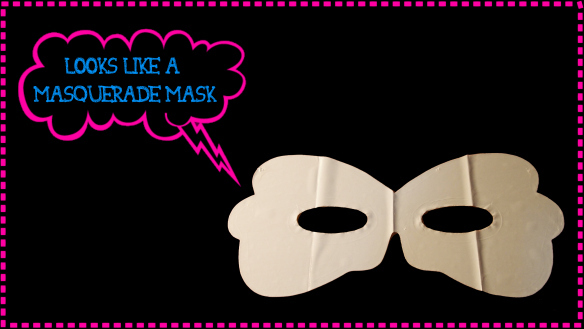 As shown above, the eye mask looks like a masquerade mask. With this design, the entire skin around the eye area (under eyes and upper eye area) gets pampered and hydrated. Annoyed with dark armpits? If you are, like what i used to be, then continue reading this entry. Experts say that mostly all joints like knees, elbows and armpits are dark compared to other body parts. Excessive use of hair-removing creams and shaving are the major causes of darkening armpits. However, shaving does not remove hair by the roots and the chemicals present in the hair removal creams result in discolouration of the skin under the arms. Bumps, ingrown hair, darkening of the skin, inflammation and soreness are just some of the more common problems that your skin can suffer from. With the latest medical technologies, you can now easily get rid of them or lighten the skin tone of that particular area. Hanamei® is created specifically to care for your most intimate area especially after any hair removal therapies. Besides providing instant relief after waxing, Hanamei® also help keep delicate skin supple, smooth and fair over time. The Hanamei® Brightening Serum contains multiple botanical actives to minimise ingrown hair and lighten darkened skin caused by hair removal and micro-abrasion especially at the underarms, elbows and kneecaps. Use the Hanamei® Brightening Serum to:• Maintain elasticity and resilience of skin• Minimise ingrown hair• Lighten the appearance of skin darkened by hair removal and micro-abrasionThe Hanamei® Brightening Serum can also be used on the underarms, elbows or kneecaps to lighten and smoothen out rough skin! Directions:Gently pat a few drops on the desired areas after cleansing. 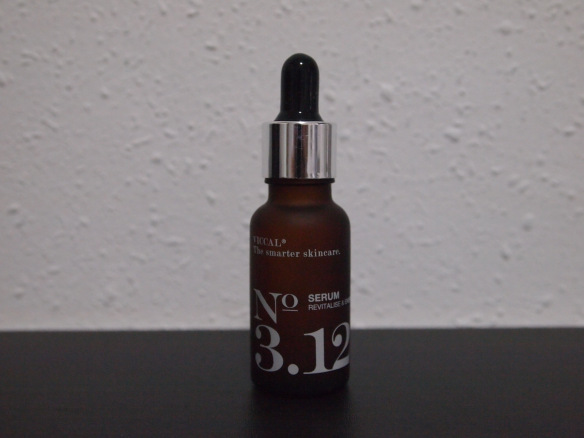 For best results, use twice daily and massage until serum is fully absorbed into skin. 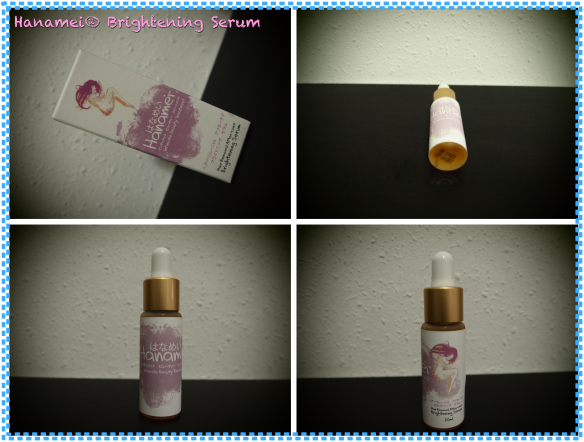 The clear yellow tinted liquid serum is light and has a very faint rose scent. Its water based texture make absorption fast. There is no sticky/ greasy feeling after usage too. It comes in a dropper bottle, thus making application hassle-free. No worries about dispensing too much serum out from the bottle. I was sponsored another product up for review as well. and I was sent the No. 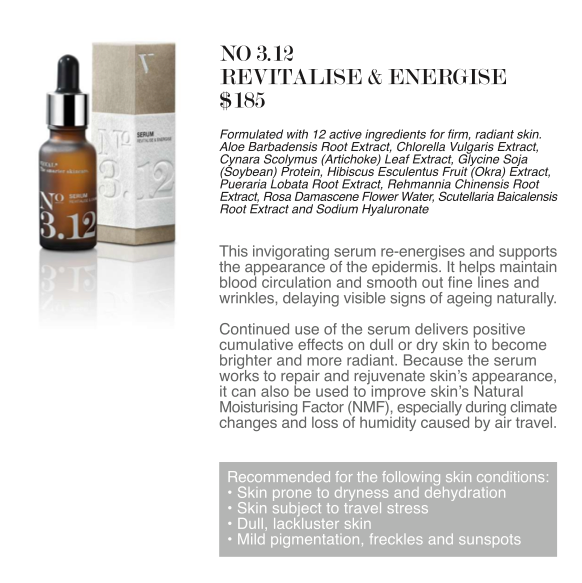 3.12 - Revitalize & Energise. Visit their website, http://www.viccal.com.sg/, if you are interested to find out more about the other 2 types of serum. *opps. i threw the box that came with the serum, so no product description and usage guide. For me, i used the serum 1 or 2 times a day. Apply the serum after cleansing and before applying moisturizer. 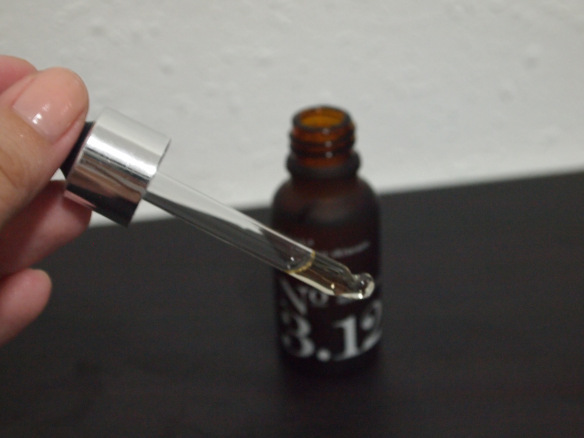 The Viccal 3.12 serum is a slightly tinted clear liquid and has a very mild smoothing scent. 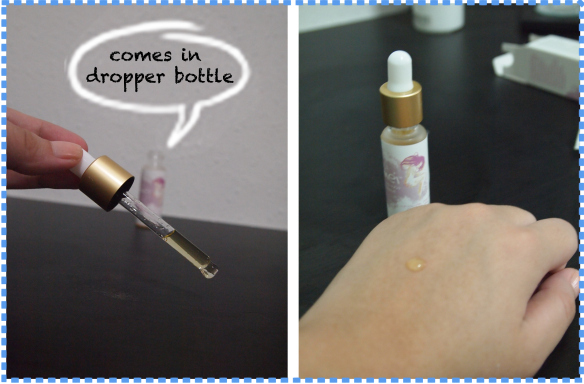 Similar to the Hanamei serum, the Viccal serum comes in a dropper bottle. With that, application is very easy and hassle-free. I started using the serum about 1.5 months ago and i'm pretty glad for its results. At least it stopped the itchiness and helped to maintain the moisture in my skin. The serum is non-greasy and absorbs into the skin really quickly, leaving the facial skin soft and silky. Most likely, i will continue using this product on a long term basis, despite its high price. I strongly believe it will come in handy especially when i travel overseas. With just 1.5 months of usage, 20-30% of the fine lines on my face seems to have disappeared. My face looks more radiant than before too. Your chance to redeem the Viccal serum is now here. Be a fan of Viccal facebook page to find out more details. pink. 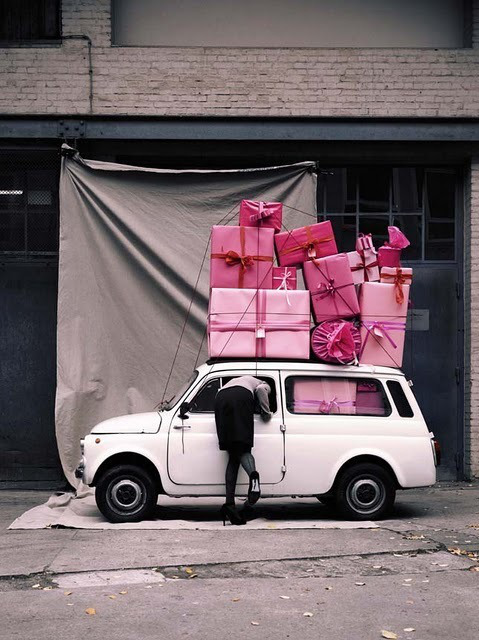 presents. vintage mini car. Polytechnics are starting their orientation camps and universities will be having their camp trials within these few months. It's gonna be the period all of us enjoy most. But its effects are horrible. Sunburnt and ugly tanned line are the common problems all of us faced after all the fun. 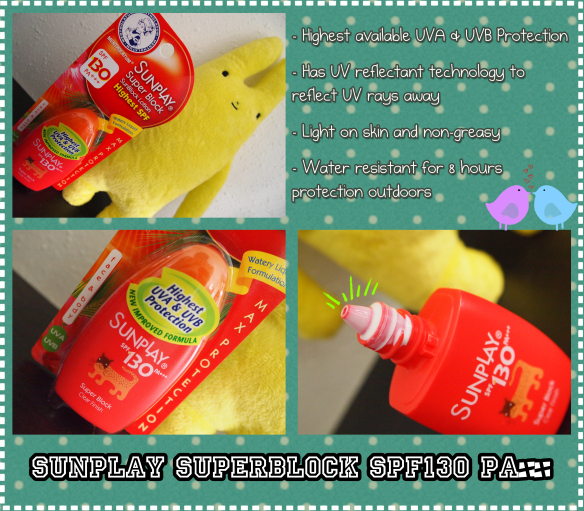 Throw these worries away cause im gonna introduce you 2 hero products from Sunplay! Highest SPF for maximum protection. Watery Liquid Formulation. 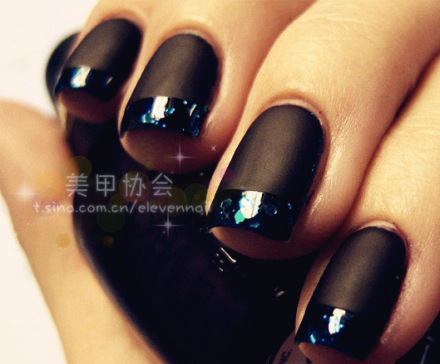 When applied the texture is very light like water. It contains UV reflectant, formulated from fine powder that acts like mirror to reflect most UV rays (UVA & UVB) away from the skin. It texture is smooth and transparent. It is non-greasy and non-sticky. So light you don’t even feel it at all. Absorbed quickly into your skin. 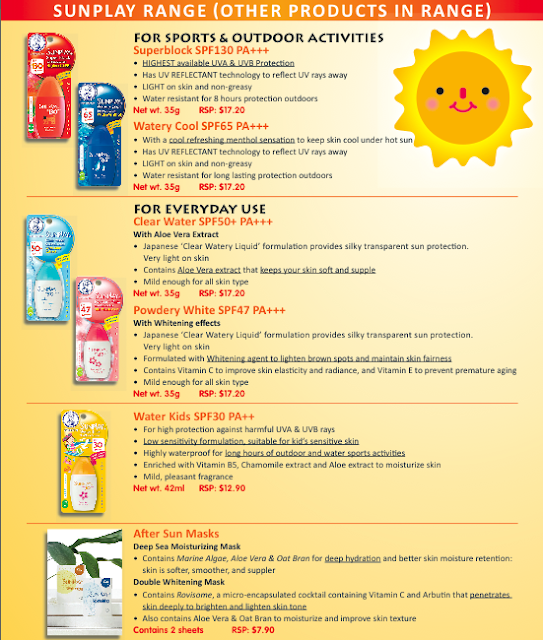 It is the HIGHEST available UVA&UVB protection. The only tiny complaint i have of the product is that it is too watery. So i have to act very fast when applying. There is no strong sunblock smell after application. It is water resistant and does not require frequent re-application. This newly launched (March 2010) product is an easy-to-apply sunscreen with high SPF80 protection from harmful UVB rays that cause the skin to become sunburnt., and PA++ protection from harmful UVA rays that cause wrinkles and skin-aging. 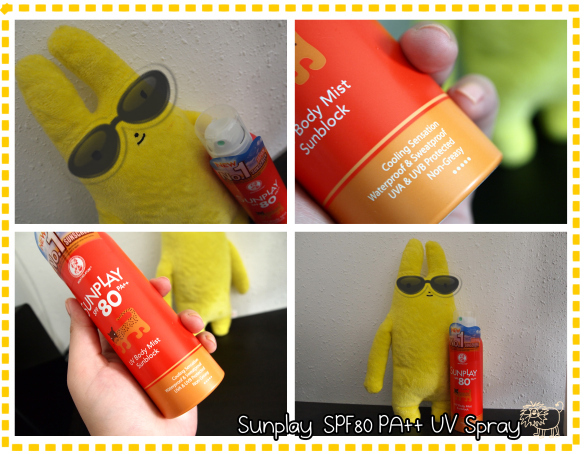 This spray quickly became the bestseller sunscreen upon its launch in Hong Kong last year. Even 小黄love it. Spray onto palm and evenly apply on face. Awwwww... Totally in love with everything about this body mist sunblock. Definitely a must try sunscreen if you have not. It is waterproof, sweatproof and long lasting for all kinds of outdoor activities. The UV body Mist is really very fine and applies evenly onto my skin. I can now even protect hard-to-reach body areas on my own with just a few spray. It has a lightweight and non-greasy texture. In addition, the UV body mist absorbed really fast and give my skin a healthy glow. The bottle is very light in weight, hence its very convenient to bring it everywhere i go. Apply sunblock 30 minutes before going out in the sun. This gives the ingredients time to attach to the skin. Most people don't apply enough sunblock. It's OK to use more than you think you should. Cover all of your skin that's exposed to the sun. This includes your back, ears, behind your knees and your legs. *Join Sunplay FB page here for sample redemption, promotions and contest details! Bought this mochi because of its unique flavoring - dusted with brown sugar. The mochi have a nice maple smell and are coated with brown sugar powder rather than the standard sugared cornstarch dust. 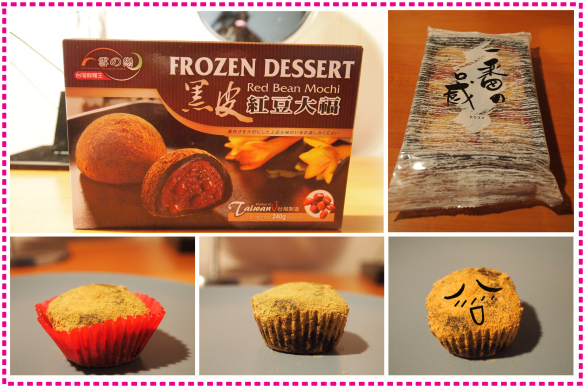 The red bean is thickly wrapped in a gelatinous marshmallow-liked glutinous rice layer. It’s a little lighter than i had expected and is very chewy. Plus point for the mochi is its sweetness - sweet but not overwhelmingly so. 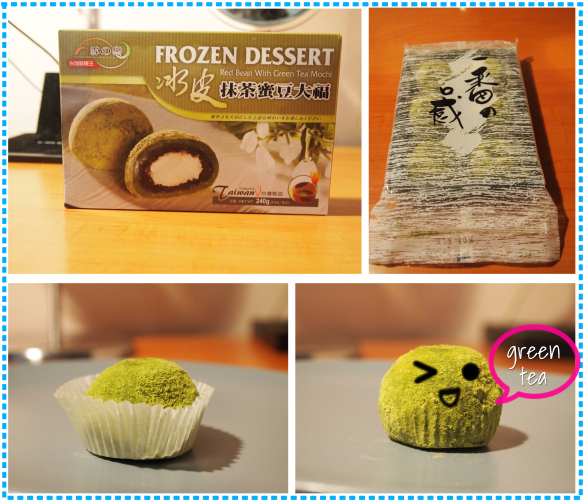 I think i can finish the whole packet at one go :) Overall the mochi is really good. My only complaint about it is that I did not like the brown sugar powder dust sprinkled on the mochi. Firstly, it spoils the overall taste of the mochi by a little. Secondly, the powder keeps falling, unlike the standard sugared cornstarch dust. It gets very messy and you see clumps of brown sugar powder everywhere. A total of 6 pieces in each box. 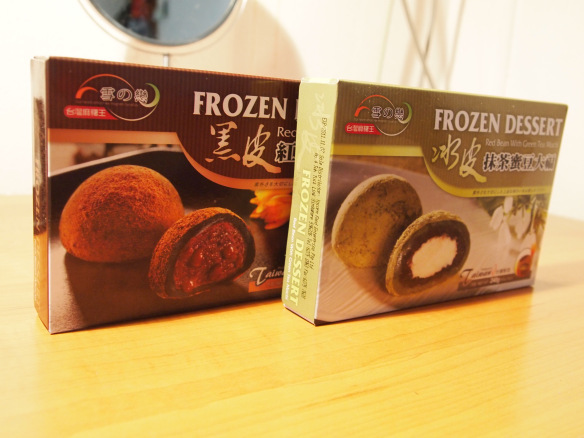 Unlike the red bean mochi, this green tea mochi is in a circular shape and is smaller in size. Lack of ideas of how to make your nails look attractive? 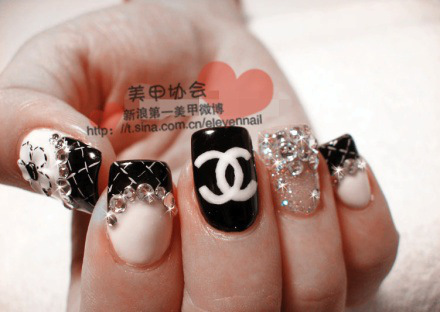 I have been collecting pictures of pretty nail art from 微博 (credits to elevenna & cscity). Hope these pictures will help you in one way or another. p.s. you can turn a matte glossy, you cant turn a glossy matte! 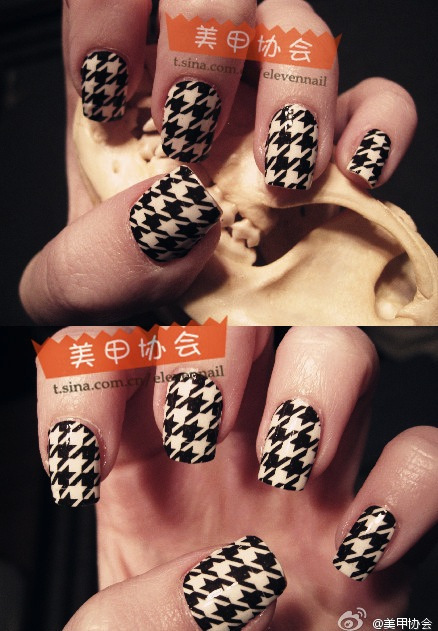 Love checkers? 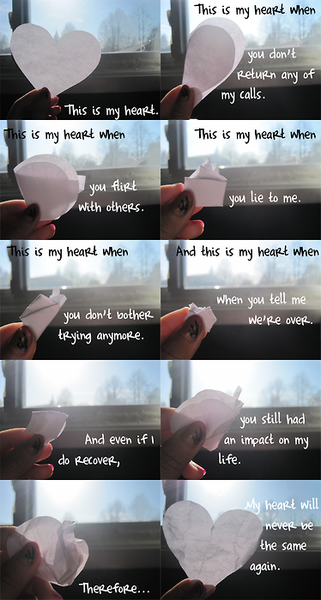 This is for you! 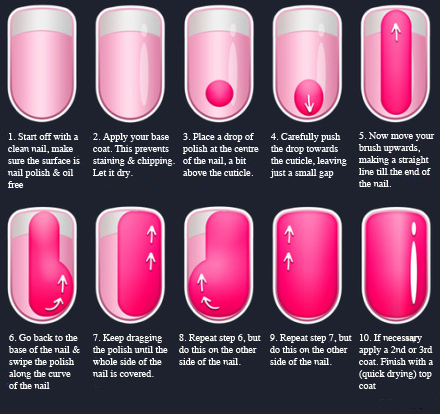 Painting your nails may sound simple, but a lot goes into doing it correctly! This post goes out for everyone that just doesn't know where to begin.